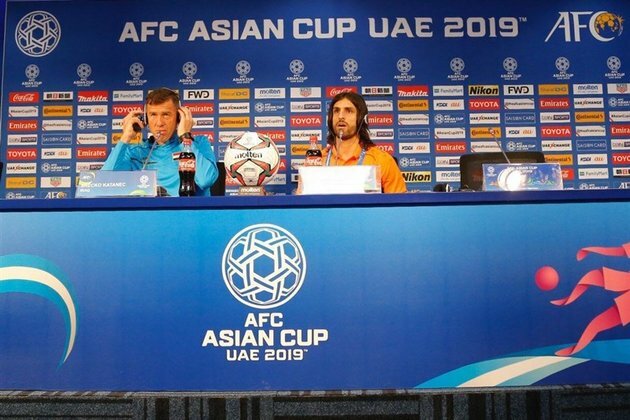 TEHRAN (Tasnim) - Iraq's head coach Srecko Katanec is determined to defeat Iran for top spot in Group D of the AFC Asian Cup UAE 2019. - Sports news - Iraq will face Iran at the Al Maktoum Stadium on Wednesday. Both sides booked their place in the Round of 16 after wins over Yemen and Vietnam, with Iran currently ahead on goal difference. "We need grow together more as a team, to be more compact, and I know of many things that we need to do to improve. "We are a good team, I have good guys and good atmosphere now (ahead of) game and I hope we will win." The former Slovenia boss says his players are now burden-free, having secured their place in the knockout phase, but he has demanded for a good performance. "It will be easier because we are already in the second round, so the players can play without pressure. I didn't put any pressure (on them), they just need to try to do the things which we have talked about the past few days. If they do it, I am sure we will play a good game. "We want to win, but my philosophy is like this; with good performances, I look forward to good games with good skills and many chances. When I see the team playing well, I am happy," Katanec added.